Welcome to the Succulent Series. This week we explore Aloes. 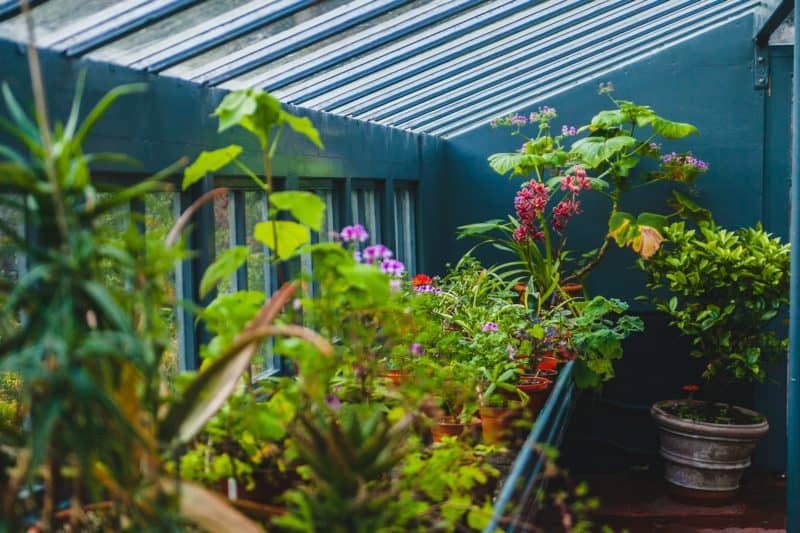 This diverse and hardy family of plants belonging to the family Asphodelaceae is historically prized for it’s medicinal properties and cosmetic uses. We discuss a few varieties of this gorgeous succulent, and show you how to care for them. 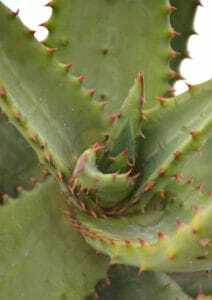 Also known as the Krantz Aloe, this variety is a bushy shrub which over time develops many stems. It has a beautiful full appearance, and when it flowers, produces bright orange conical racemes full of dense blooms. They originate from South Africa’s coastal regions and flourish in summer rainfall areas. They can also be found in Zimbabwe’s eastern mountainous regions. The Krantz aloe is grey-green in colour. The leaf margins have a pale white-yellow spiky tooth. The leaves grow in intricate rosettes and with maturity, they droop to the floor with weight. The winter-borne flowers are red, deep orange or yellow a huge attraction to pollinators. The Mountain aloe is well known on the mountainous plains of South Africa. It is known as the Flat flowered aloe for its blooms which reach diagonally skyward from the centre of the plant. Bright yellow or orange racemes grow from chunky grey-green fleshy leaves which themselves are covered in red-brown spikes. The spines are to deter animals from grazing on the water-filled leaves. The Marlothii can be found spanning from Johannesburg to Botswana, Zimbabwe and Malawi. This beast can grow up to 6 meters in height and it’s trunk is usually patterned with desiccated leaves. 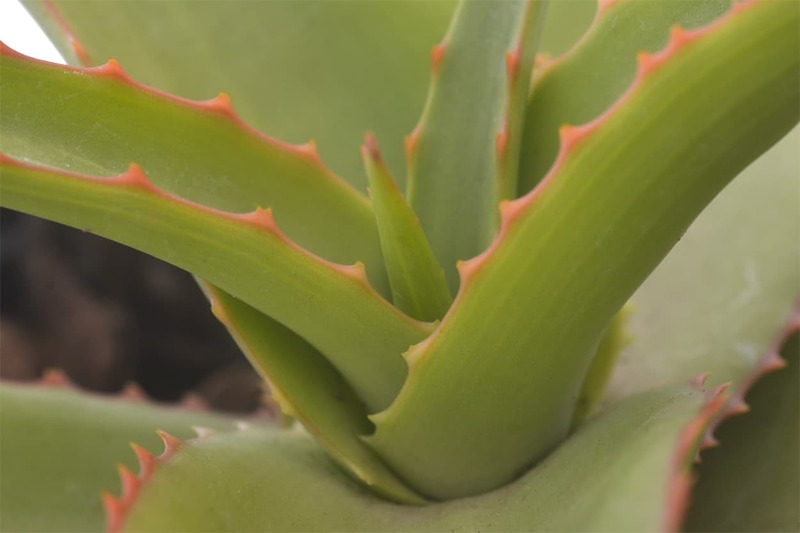 Known as the Crawling octopus, this vibrant green aloe is tinged with orange edges. When it is water deprived and conditions are exceptionally hot the entire plant turns a burnt orange colour. In full shade it will remain bright green. Over time this plant develops a dense growth of clusters, its leaves forming downward reaching arms which hang to the ground. Each inflorescence can reach a height of 1 meter and will split into 2-3 conical racemes, from which tubular red flowers will hang in bell shapes. The fruit and the leaves of the Vanbellenii can be eaten. Propogation is easy by seed, cutting or division. Fresh seeds from the dead flowers can be sewn in sandy soil. Cuttings can be taken from the stem of the plant, then allowed to form a scab over the place it was cut. After which the cuttings can be planted. Plants that form clumps can be divided using a sharp knife, and treated in the same manner as cuttings. “Ferox” is Greek for fierce- this refers to the sharp spines on the edges of the Aloe Ferox leaves. Aloes can resprout after a fire. Even when completely consumed in a fire, the top part of the plant completely damaged, the rootstock below ground level will grow new leaves. The Vanbellenii species is planted on the sites of Royal graves in Swaziland. 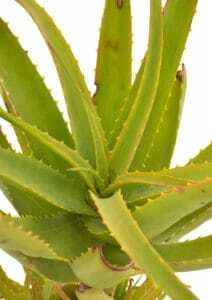 The leaf sap of some aloes can also be used to treat conjunctivitus and sinusitus. Anti-inflammatory, antioxidant and antiseptic properties are also valued, and new research shines light on possible antiviral uses too. Sunburn, skin irritations, minor cuts and bruises can be treated with the gel. Aloes are also frequently used in lotions. shampoos, nutritional supplements and health tonics. they are also edible! Marmalades, pickles and jams are very common in South Africa. Aloes love sandy soil. Incorporate river sand into the soil you are planting into. Water infrequently, as the leaves contain mostly water. When aloes become tall and leggy, trim the dry leaves to make a more visually appealing cleaner looking plant. Aloes do not need fertilising. Most varieties will thrive in partial shade and can tolerate full sun.